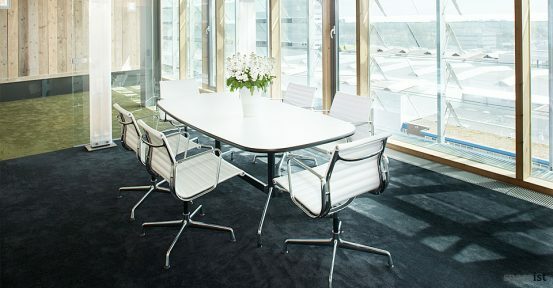 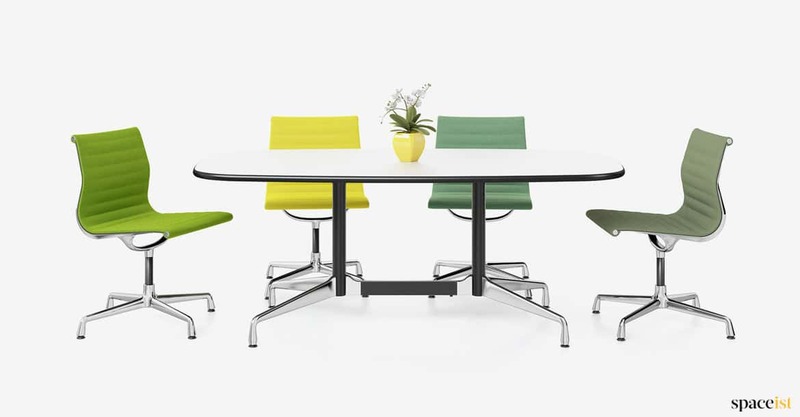 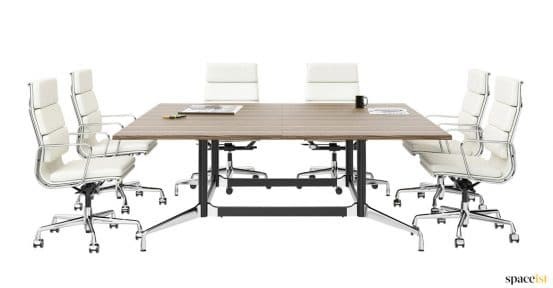 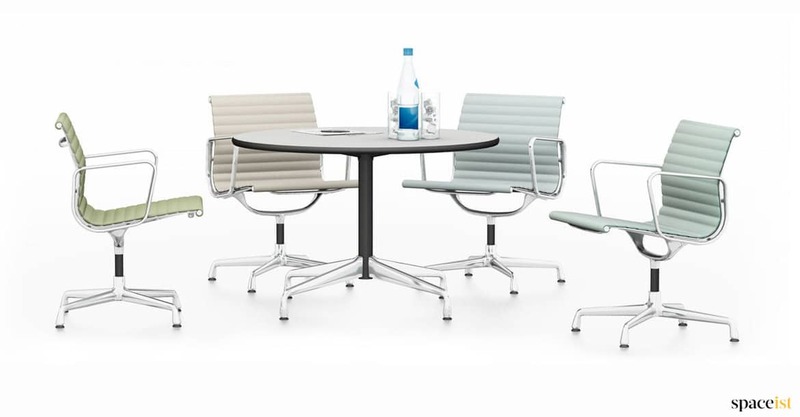 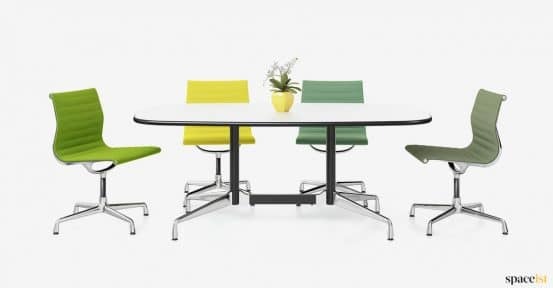 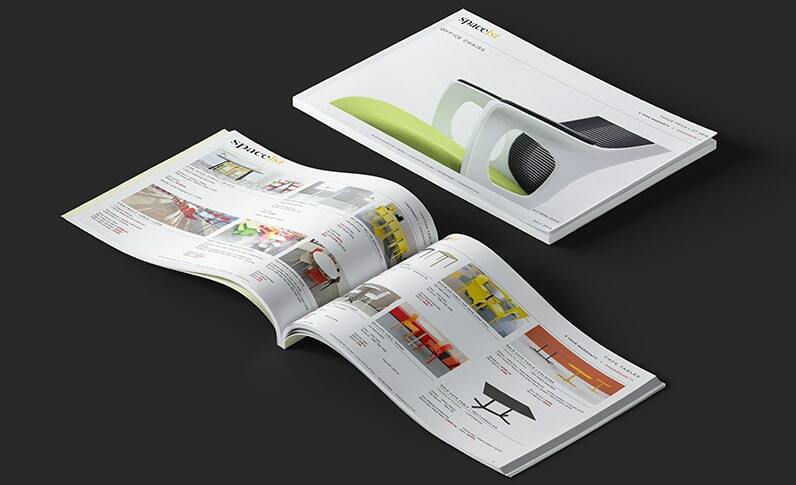 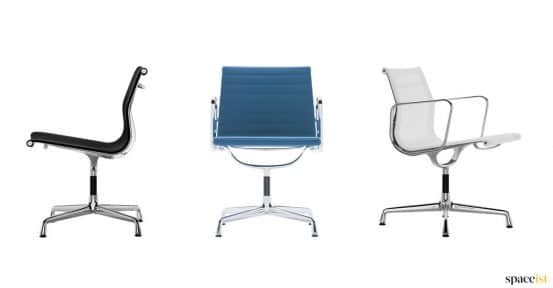 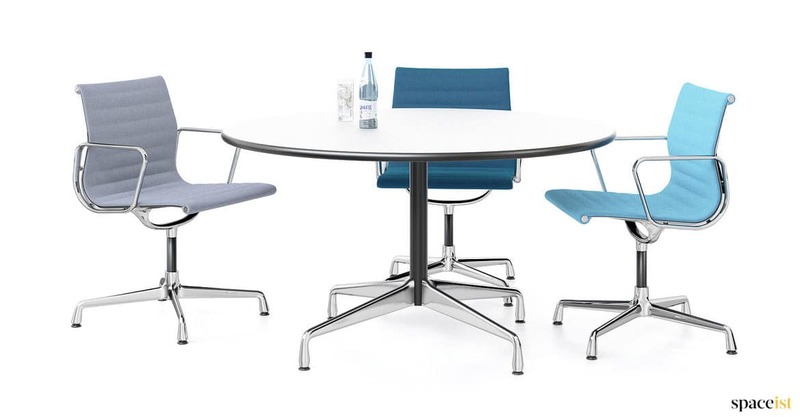 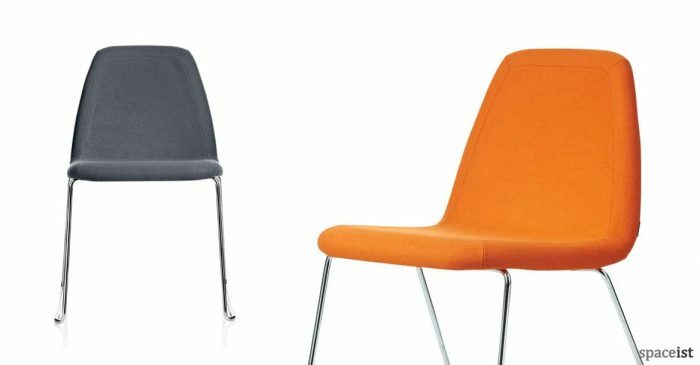 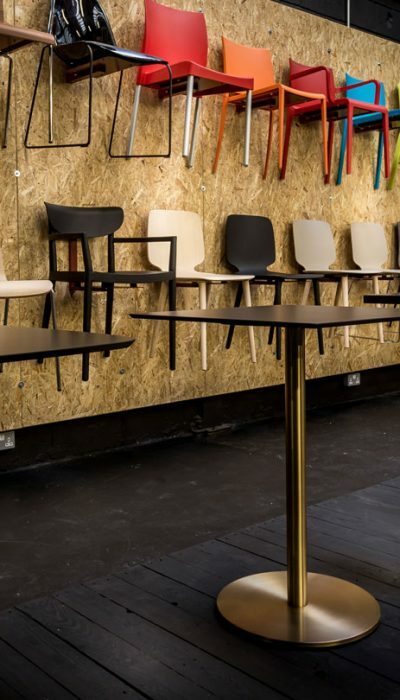 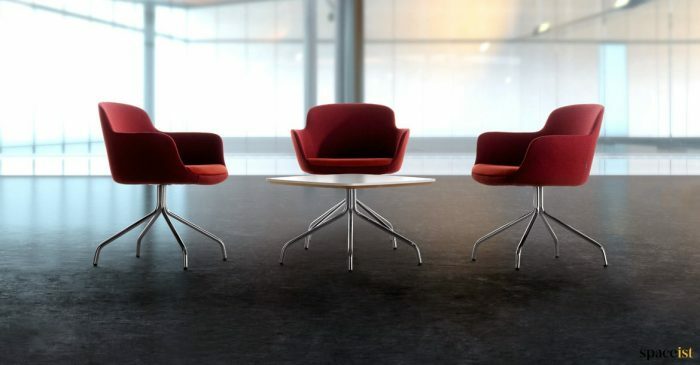 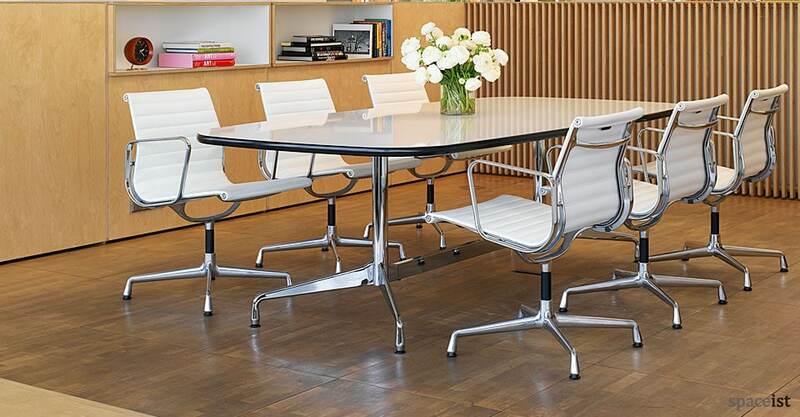 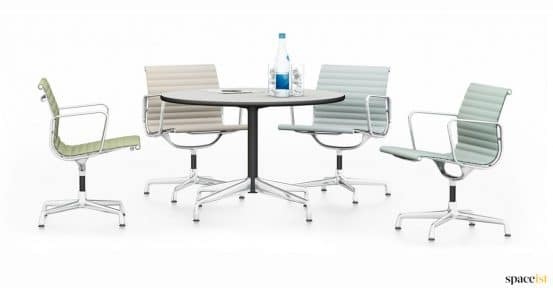 Classic designer meeting chair designed by Charles and Ray Eames. 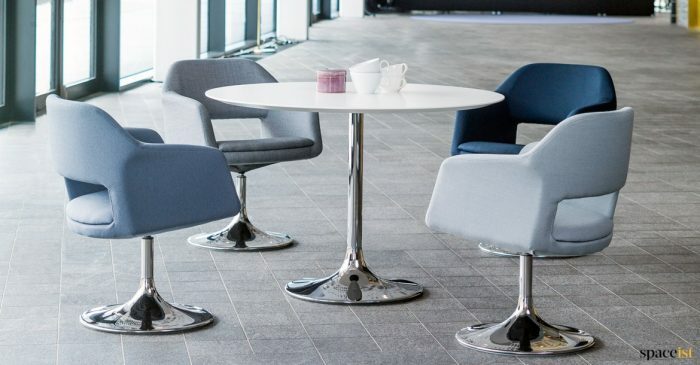 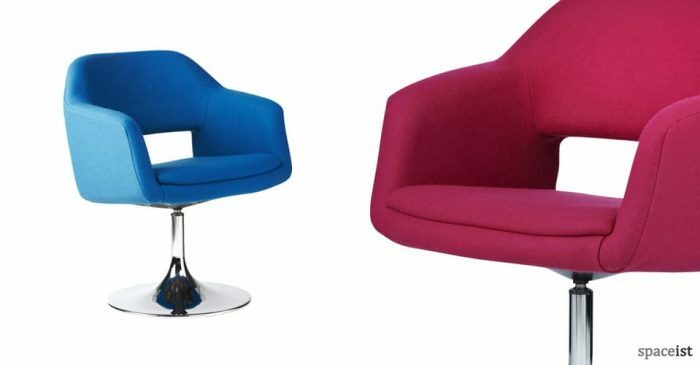 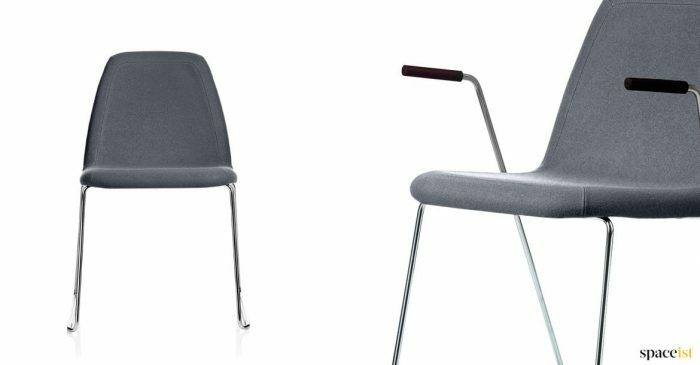 The four star swivel base and arms are available in polished chrome or aluminium. 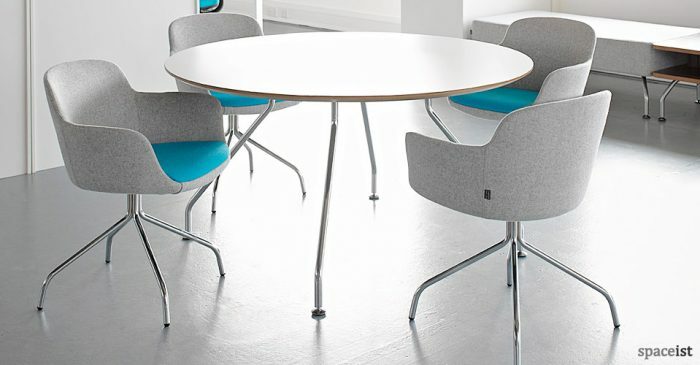 The paneled stitching can be made in Hopsack fabric or high quality leather in many colours.